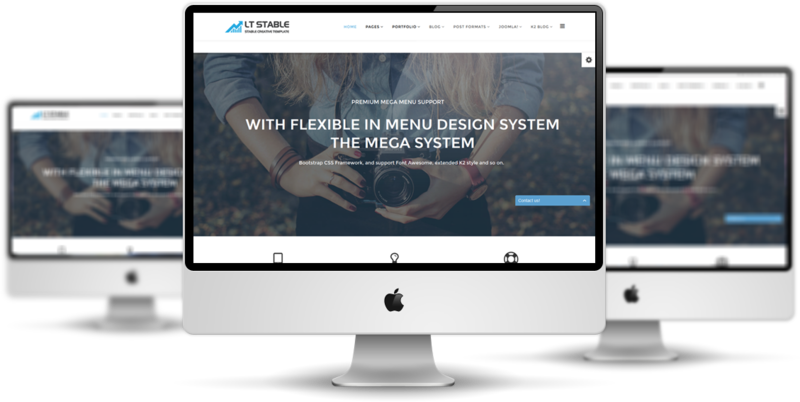 LT Stable Onepage is a creative one page Joomla template that is well suited for all kinds of business/ companies. This template is the first new template from L.THEME that use latest Helix III template framework, and also most recent Bootstrap CSS, Font Awesome with unlimited position support. It comes with 4 color styles, boxed and full-width layout and 4 background options for boxed layout. Besides, it’s easy for you to modify layout with support of SP Page Builder, which is great for Joomla! 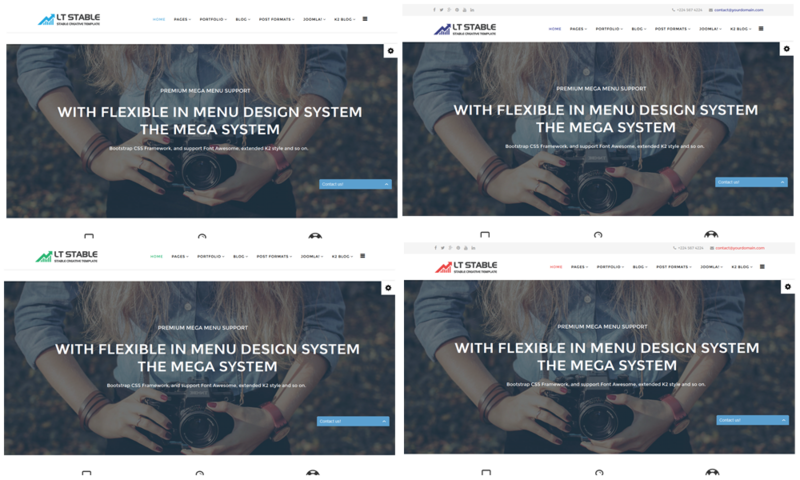 CMS, and we embed (Free version) for LT Stable template. Many options from Helix in the template setting that help you custom template easily without coding skills required. 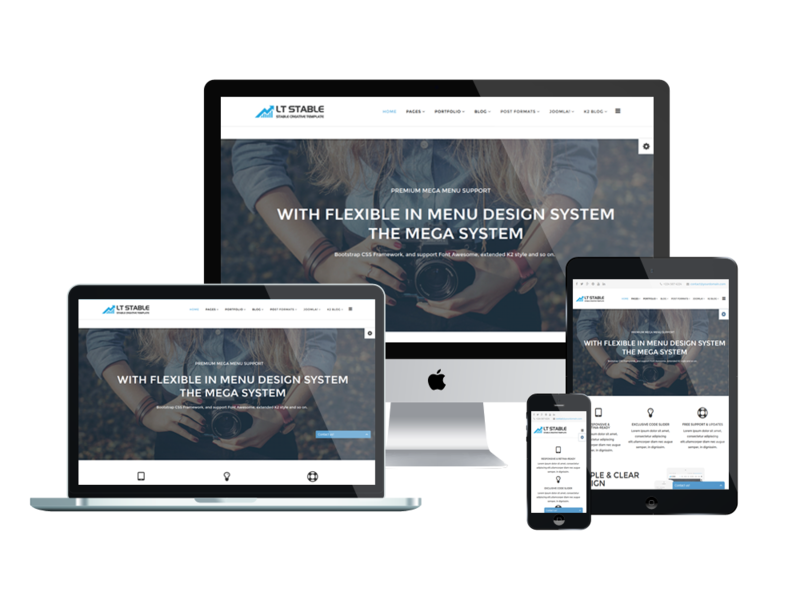 If you are a design company or a design freelancer and you love Onepage Template Design, LT Stable Onepage will be a good choice for your business. 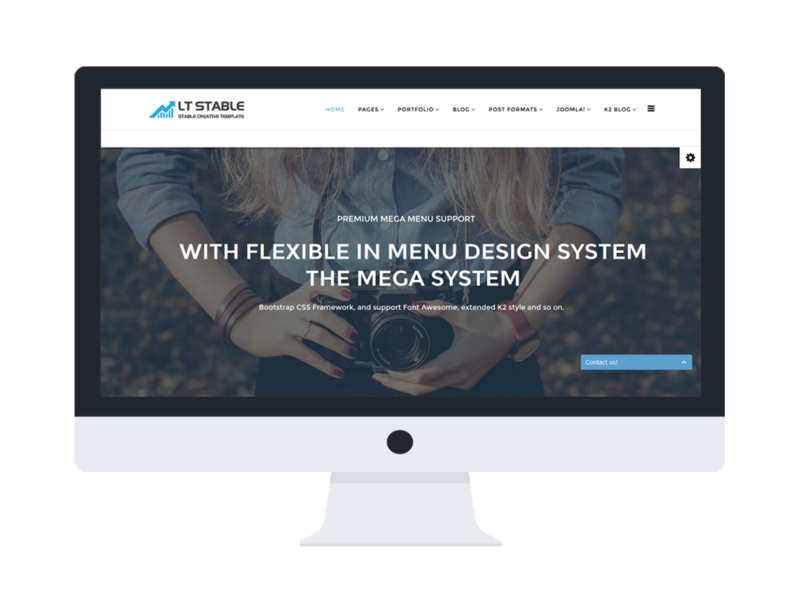 LT Stable Onepage supports mobile devices with responsive layout. The template framework with strong shortcodes, unlimited module positions, and easy to drag-drop layout content.